Founded for the purpose of preserving the unity and welfare of the University of Arizona by always being alert to guide in the right direction. A Bobcat's first loyalty is to the University of Arizona, therefore "Eternal Vigilance" is their motto. 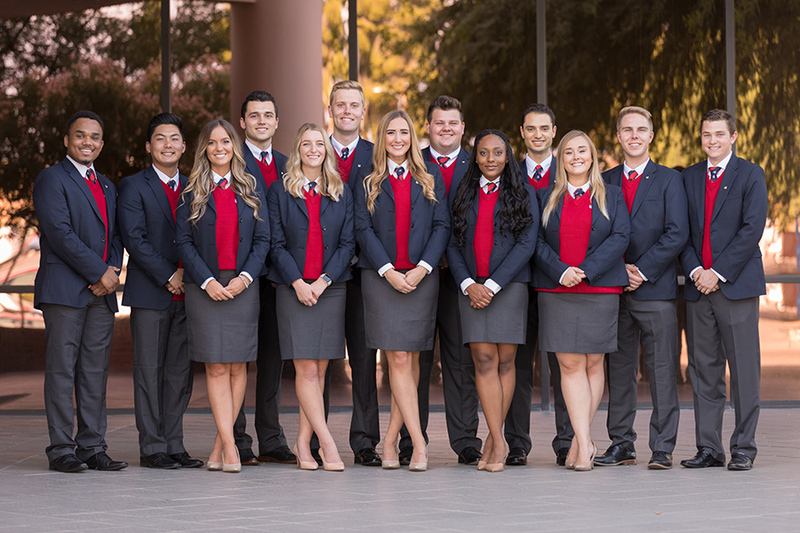 An open, frank, sincere and unbiased group that knows no party lines, harbors no petty jealousies and idolizes the person who has the welfare of the University of Arizona at heart. Did you know that there are 13 spouts on the Berger Memorial Fountain on the west side of Old Main? Did you know that the number 13 was chosen to represent the 13 UA students that were killed in service during World War I? The Bobcats is a senior honorary that was formed after the war with 13 seniors to protect the heritage and traditions of the university. Gifts to the Bobcat endowment help support this student experience which pledges “Eternal Vigilance” to the university. A Bobcat’s experience only begins as a senior and is carried on through a lifelong dedication to the support and advancement of the UA. Contact Marc Acuña at marc.acuna@al.arizona.edu or 520-626-0705. All materials must be submitted in PDF format or your application will be considered incomplete and will not be reviewed. One must be from somone affiliated with the University of Arizona, examples include a staff member, a professor or alumni. Share this link with both of your recommenders and they can upload their letter directly on your behalf.